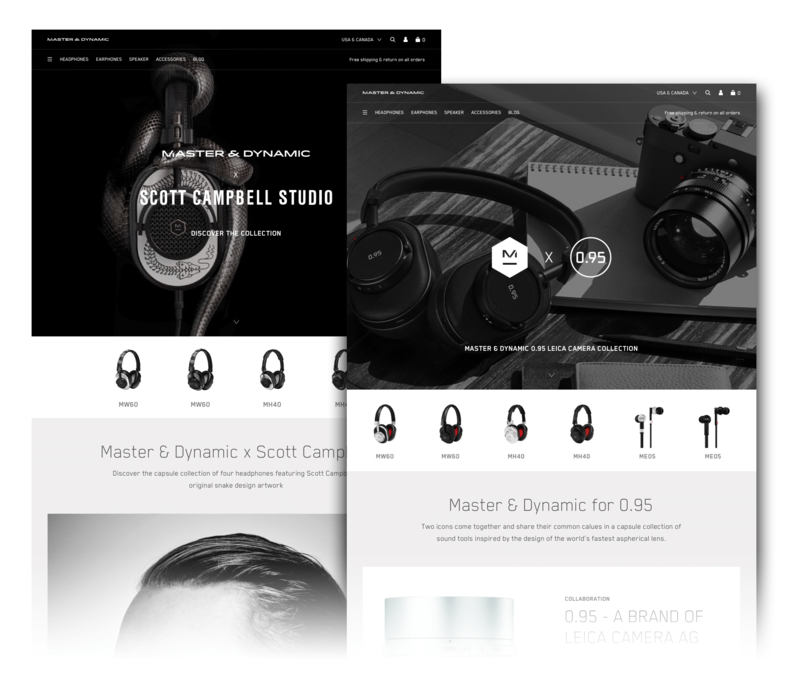 King & Partners is responsible for ongoing strategy, creative, and technology on the Master & Dynamic eCommerce website, built on Shopify. We handle everything from strategic initiatives to meet long-term business objectives to daily maintenance ensuring optimal performance. Our goals are to increase conversion rates and sales, and to reach new customers. We began with an analysis of the existing website design, reviewed analytics and user behavior, and researched the competitive landscape. We then created a plan for strategic initiatives, supported by the insights gained during this initial discovery phase. We have completely reimagined major parts of the website to address specific challenges, one piece at a time. Our first mission was to redesign the homepage to improve the mobile experience, decrease bounce rates, and better reflect the brand’s unique point of view. 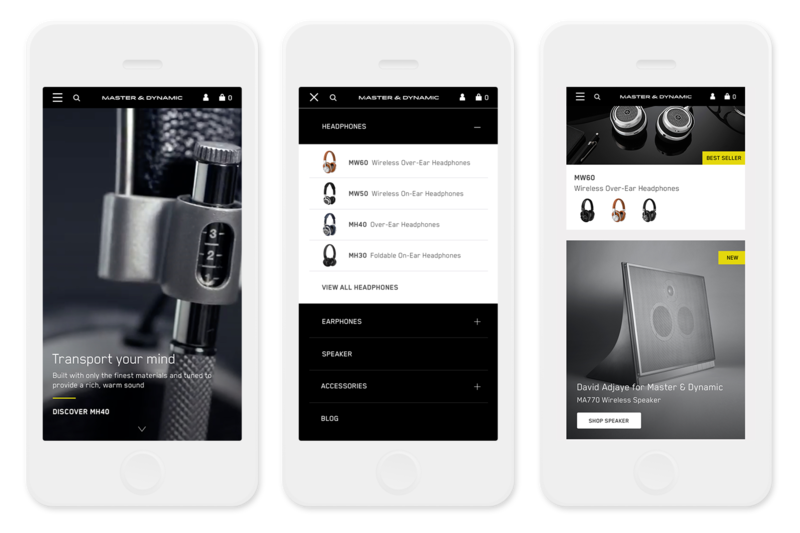 We also developed a new interactive experience, Color Your Sound, a customization tool aimed at increasing AOV while providing customers with the opportunity to personalize their headphones. Master & Dynamic partners with brands and artists on product collaborations multiple times a year. We built a new page to house this content, creating a modular content management system enabling new layout reconfiguration for each launch without needing to redesign and build from scratch. The result is a Collections page with a distinctive look for every collaboration, powered by a smart content system.